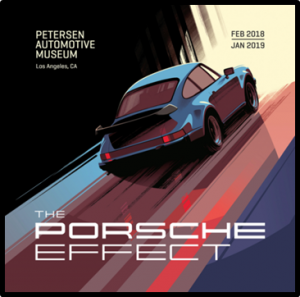 Come on this 4-day tour to the L.A. area to immerse yourself in Porsche culture — a day at the Porsche Experience Center, plus a visit to the Petersen Automotive Museum. See below to find what we have planned at the two venues. We’ll be heading to California on Monday, Aug. 13, returning on Thursday, Aug. 16. We will drive from the Valley to Carson, California and stay one night at the Hampton Inn, which is a convenient location for us to drive to the Porsche Experience Center on Tuesday morning. After a day of activities at the PEC we will drive to LA and check in to the DoubleTree by Hilton Hotel Los Angeles - Westside. 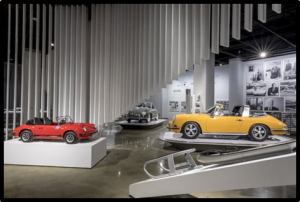 The Petersen Museum is a short drive from the DoubleTree location. This event is limited to 40 attendees — you will want to sign up early! Registration details are on MotorsportReg.com, at the link below under "Details." Time to explore the extensive public galleries at what is considered by some to be the world’s greatest museum dedicated to the automobile. Optional tour of The Vault: a behind-the-scenes” tour of some of the most unique cars in the collection that are not on display in the museum galleries.